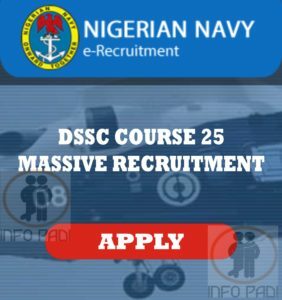 As written at the top, this recruitment is indeed a special one; we will like to inform you that the application portal for the 2018 Nigerian Navy DSSC Course 25 recruitment has been opened and as such all interested and qualified persons are encouraged to apply. Full details of all the processes involved would be revealed to you as you continue reading. ​Obstetrics & Gynaecology: Obstetrician & Gynaecologist. Fellowship of West African Colleges or National Medical Colleges in the respective specialization such as FWACS, FWACO, FMCOG or equivalents obtained from foreign institutions. Certificate or Registration with the Medical and Dental Council of Nigeria. Certificate of Registration of Additional Certificates. Applicants who obtained credentials from foreign institutions should ensure that the certificates are authenticated by the Federal Ministry of Education. 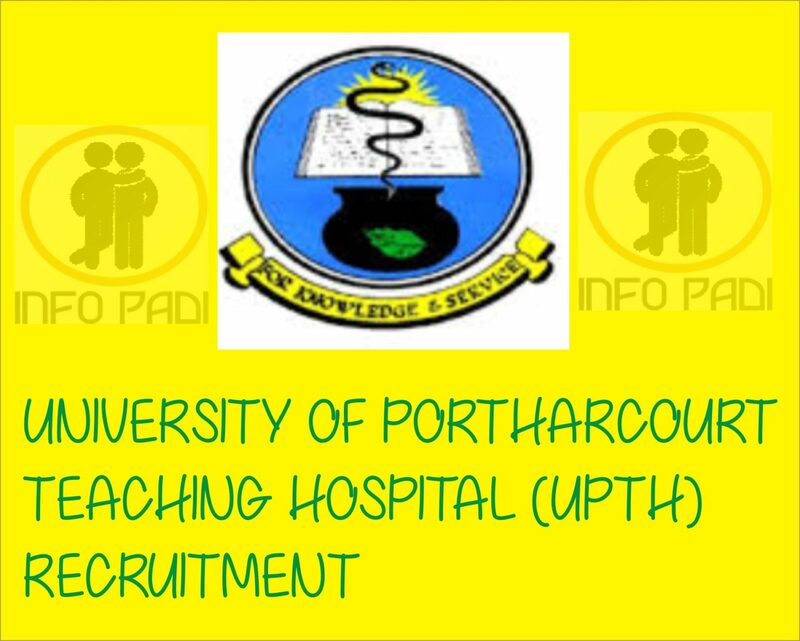 ​Applicants must possess NYSC Discharge Certificate or letter of exemption from NYSC. ​Applicants must possess the National ID Card or National ID Card Acknowledgment slip. Male applicants must not be less than 1.65 metres tall while female applicants must not be less than 1.62 metres tall. 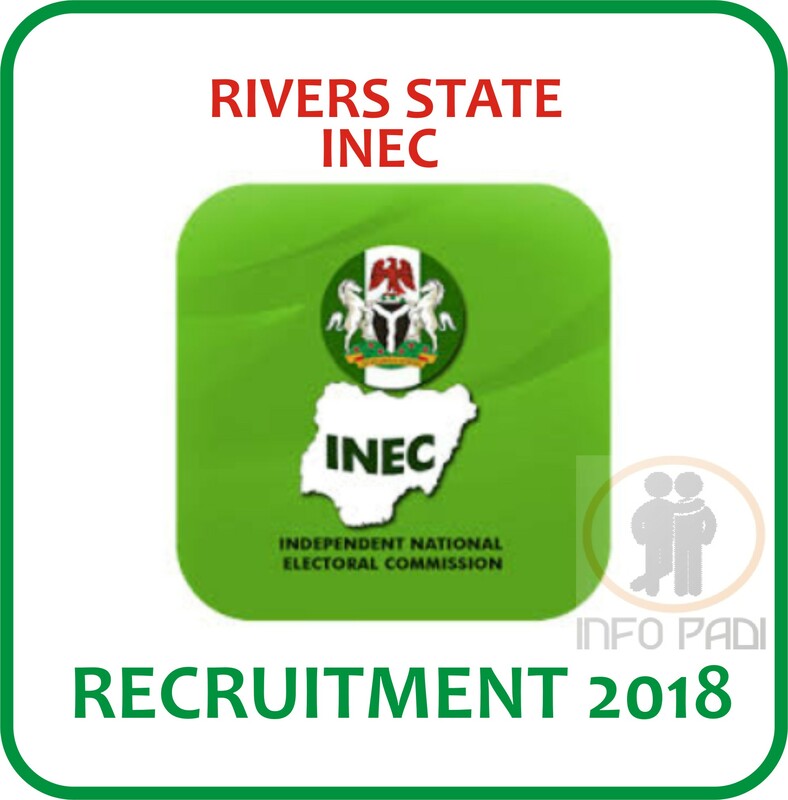 Applicants should be between 30 and 40 years of age by 31 March 2018. You are to print out the documents on successful completion of the online application process. Any false information or fake certificates discovered at any stage will lead to disqualification and subsequent prosecution of the applicant. Applicants will be shortlisted for a screening interview. The date and time of the interview will be communicated via this website www.infopadi.com .